I have tried to create a home exercise program that I can do from the comfort of my home every day because I recently decided working out is something I have to incorporate back into my life. I made the decision that I have to make time for it every day. It’s not just a desire, but a necessity. When I exercise regularly, I am not only healthier but happier. Choosing a home exercise program is a must for me. With four children at home and a work at home job, it’s a must. It’s just not always feasible for me to head out to a gym like some families often do. Not only is it hard to fit into our family budget some months, but let’s face it, juggling all 4 kids into the care, trusting a stranger to watch them while I workout, and not dealing with mom guilt in the process is tough. 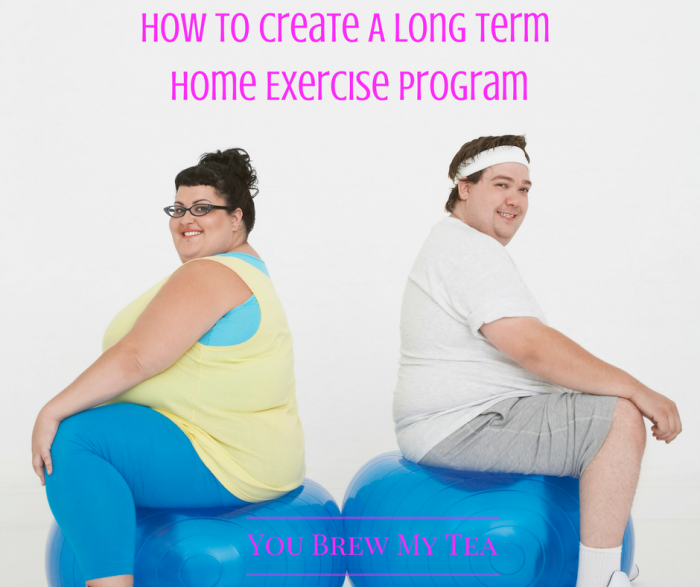 So, the solution is to use one of these home exercise program solutions. I actually love looking on YouTube to find new workouts. There are workouts of all kinds on YouTube! Whether you want to dance, do yoga, or do cardio, you can find it on YouTube. You can mix up your workout on a daily basis and keep things switched up! I have noticed that there are a million and one ways to create a home exercise program. You have to choose a workout that best fits your needs. The best thing about working out at home is that you get to choose what workout best fits you! I fell in love with the DVD series by Leslie Sansone several years ago called Walk Away The Pounds. It is great for when you can’t get out and about because your kids are younger and you need to stay at home during the day. Just pop the video in and get moving in your living room. However, it can get boring. That’s when you start branching out and try different things. A few years ago, Katie mentioned using the classic Richard Simmons Sweatin’ To The Oldies DVD series. They got her off the couch and having fun dancing. This helped her get out of the rut of just walking, and made it more fun. There are dozens of workout options to choose from. Dancing, walking, Zumba, or even classic Yoga or Pilates are all great options you can choose from. Not all of us are skilled in the area of working out. However, we can all try to be healthier! Some days I jog in place and other times I do pieces here and there of workouts that I have tried over the years. An at-home exercise program doesn’t have to be a specific workout. You can simply get up and get moving. One thing a doctor once told me was that exercise didn’t always consist of specific routines done for set increments of time. It once was simple regular daily movement in life. So, the actions of daily life can be plenty for our bodies if we are consistent. That means some days, I simply take the time to get up and move around more. I walk around the block a few times or walk up and down the stair to the basement more times than necessary. Lifting the baby up and down off the floor can be fun for her and for me. All of these things are great exercise that doesn’t fall into the basic normal exercise routine but is still a way for me to burn off calories. I get a lot of my inspiration for exercising from people on Facebook. Moms who find time every day to work out inspire me! Sometimes I watch their videos and try some of the workouts they do. I have also been known to try different workout programs from the people I follow on social media. Simply search for various well-known fitness guru’s and check out what they have to share on social media. One of my favorite pages to follow is Go Adventure Mom. This year they have an amazing challenge that is all about getting out and walking every day this year! I absolutely love using Amazon Prime for two things: Amazon Music and Amazon Prime Videos. Not only can I stream movies and TV shows, I have found occasionally there are also workout videos and fitness programs. I’ve even found around the new year that some hot fitness instructors will add a few sessions of their workout videos to the free section hoping you will get hooked enough to pay for more of their episodes. I love streaming the music for their workout playlists or creating my own workout playlist to dance and play with the kids for fun family fitness time that is ideal for a home exercise program. 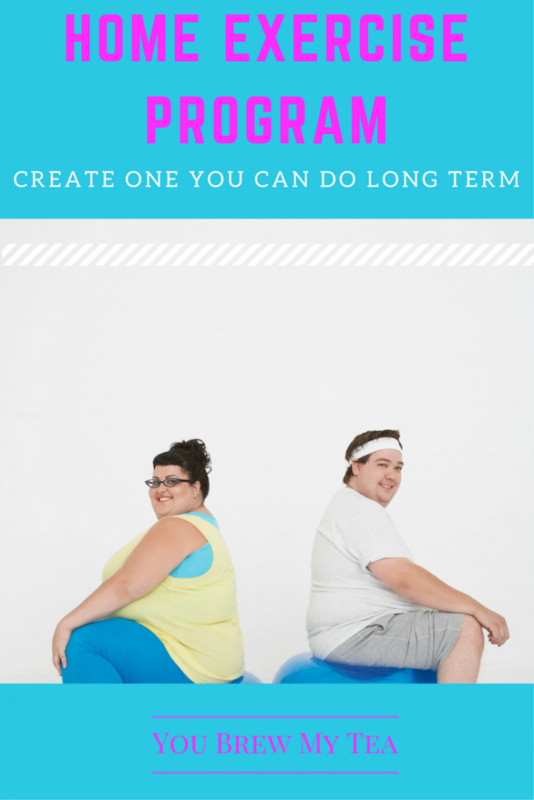 I think to create a home exercise program you can do long term; you need to switch it up. I do not do well by doing the same workout over and over again. What about you? Make sure to check out our other home exercise tips below!